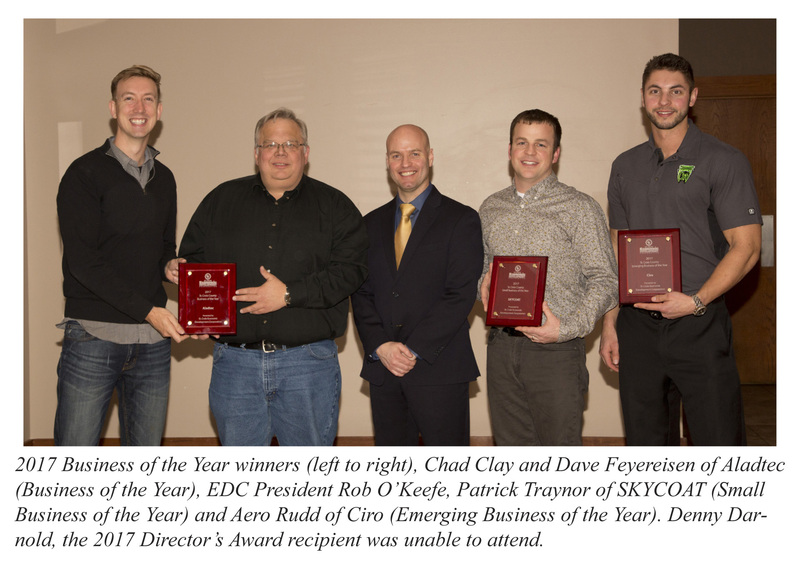 St. Croix EDC is now accepting nominations for its 2018 Business of the Year awards program. Individuals may nominate a company in any of the categories or a business may place their company’s name in nomination. milestone anniversary, physical plant expansion, new product line, increases in employment, sales increases, pollution control advances, new training programs, export sales, or any other significant advances. Contributions to community projects, service to area youth, education programs, and other efforts to increase the quality of life in the area. The winners will be announced in January and honored at a banquet on Thursday, February 21, 2019 at Ready Randy’s in New Richmond.